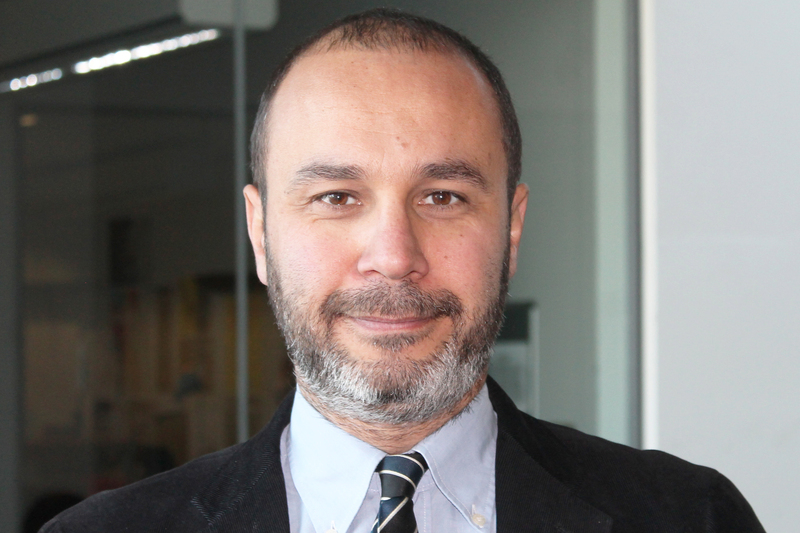 Dr Enrico Bonadio, a Senior Lecturer in the City Law School, says it is entirely possible to create art to send anti-establishment messages and at the same time legally protect the commercial side of it. Copyright is for losers – or so Banksy once claimed. But the days of the mysterious artist’s dislike for intellectual property now appear to be long gone, as he has recently won a case of unauthorised merchandising in Italy. 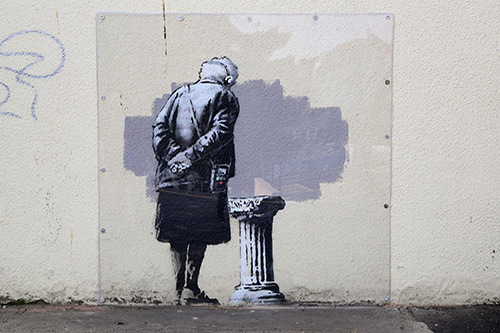 The unauthorised copying of Banksy works is widespread – a stroll through London’s popular markets in Camden and Brick Lane, and a quick search online proves that. His work has been printed and reproduced on everything from mugs to mouse mats. But despite previous rumours that Banksy’s lawyers have sent letters to complain about his artworks being exploited, it seems so far that these objections have not made their way into courtrooms. However, at the end of 2018, Pest Control, the handling service that authenticates Banksy’s artworks, took action against an Italian company that organised an exhibition – The art of Banksy. A visual protest – for Milan’s Mudec Museum. The event opened in November 2018, and runs until April 2019. In January, a provisional ruling by a court in Milan ordered the museum to stop selling merchandise which reproduced Banksy’s branded art. While the works on display were either original, or authentic prints, the organisers were also selling products such as notebooks, diaries, postcards, bookmarks and erasers, all of which incorporated Banksy’s art. Pest Control enforced its trademark rights over the Banksy name and his iconic pieces Girl with balloon and Flower thrower. It did so to stop the unauthorised merchandising, as well as the use of Banksy imagery in the promotional material produced by the exhibition’s organisers. While the Milan judge noted that the use of Banksy’s name and art on merchandise amounted to trademark infringement, he denied wrongdoings with regards to the promotional material. The court stressed that the use of Banksy’s art on such material is informative in the sense that it is necessary to describe the contents of the show. So should we now expect more legal actions by Banksy, in courts around the world? If the artist, who has long tolerated other people copying, appropriating and exploiting his art, is changing his strategy it wouldn’t be a bad thing. After all, artists have good reasons to ask for intellectual property protection, whether they produce works in the studio or paint in the streets. They put effort and creativity in producing art, and the law should reward them accordingly. And indeed several graffiti writers and street artists have also recently fought to protect their works on copyright grounds. Although the court confirmed that Pest Control trademark registrations were valid, the judge noted that the documents filed in the proceedings showed just limited use of Banksy brand. Basically, the Banksy logo is only used on certificates of authenticity released on Pest Control letterhead, and on some canvas frames. This is a clear weak point in Banksy and Pest Control’s legal strategy going forward. If Banksy wants to keep enforcing any of his trademarks in courts around the world, and avoid the risk of them being cancelled for lack of use, he will need to show judges stronger evidence of his brands being used in the market. This probably means he needs to start regularly producing and selling his own branded merchandise through a specialised commercial vehicle, which so far has not really happened – and may be considered by Banksy himself as antithetical to the very anti-capitalistic message he wants to convey through his art. What is also noteworthy in this case is that Pest Control has decided not to enforce Banksy’s copyright. Such a decision doesn’t come as a surprise though, as it would require Pest Control to show judges that it has acquired the copyright from the artist. But this would entail the disclosure of Banksy’s real name, which the artist obviously doesn’t want to reveal as it would remove the aura of mystery surrounding him, and consequently reduce the value of his art. All in all, this legal action in Milan confirms once again Banksy’s ambiguity. He is an artist that started a suit to stop the commercial and unauthorised use of a brand which he deliberately does not use in the market (probably to avoid blurring the anti-consumerist nature of his art). But Banksy cannot have it both ways. If he wants to fight regularly (and successfully) against the unauthorised exploitation of his works, especially his brands, he will need to accept the market-driven logic underpinning their legal protection, and start a proper business plan which includes merchandising of his own art, as most art entrepreneurs do. After all, it is entirely possible to create art to send anti-establishment messages and at the same time legally protect the commercial side of it.